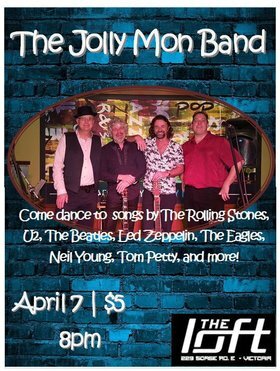 The Jolly Mon Band is excited to play their first gig at The Loft! 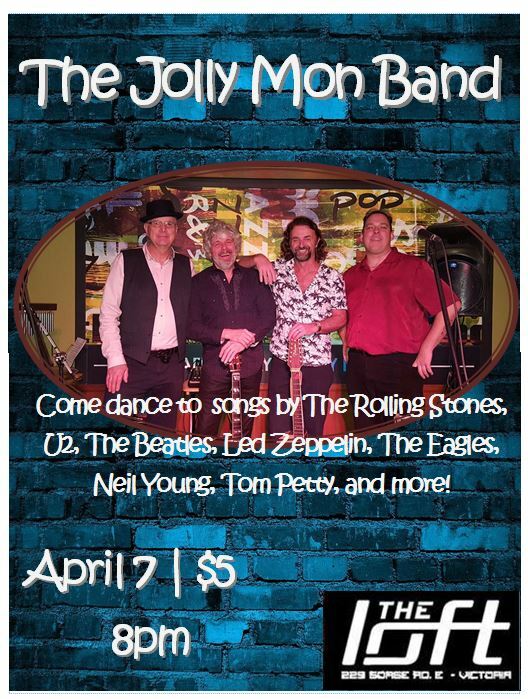 Come listen to some great covers from the Rolling Stones, U2, Steve Earle, The Beatles, The Band, Tom Petty, Donovan, Steve Miller Band, Led Zeppelin, Fogerty/CCR, Bob Dylan, Neil Young, Crosby Stills Nash, the Eagles, Peet Vuur originals and more! Put on your dancin' shoes and get ready for a party!